The topic of the moment seems to be weather in July and the heavy down pour of rain, floods everywhere and lots of damage done to property and land. 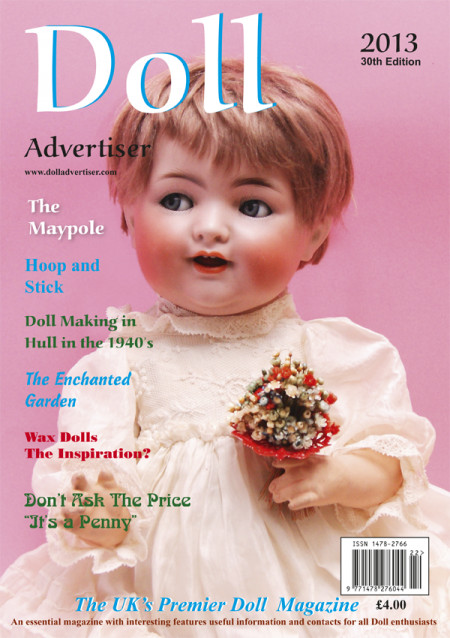 I can hardly believe it is summer… but, by the time the Doll Advertiser is published in September, hopefully the weather will have improved in more positive ways. 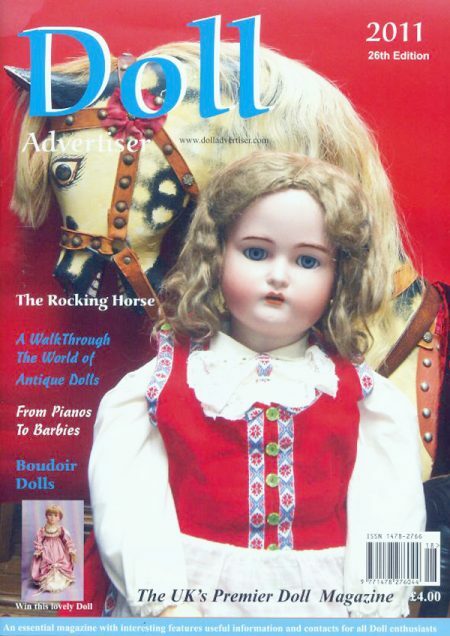 A very informative article in this issue is that of the French doll Jumeau, by Heather Bond. To all that collect Jumeau’s, or would like to, this is valuable information. Jumeau is a well sought after doll, and a wonderful treasure if in it original clothes (and rarer still in the original box). If you can afford them a well worth inverstment. Madame Louise Petyt (page 9) obviously had the right idea when she collected so many Jumeau’s in the early 1960’s. 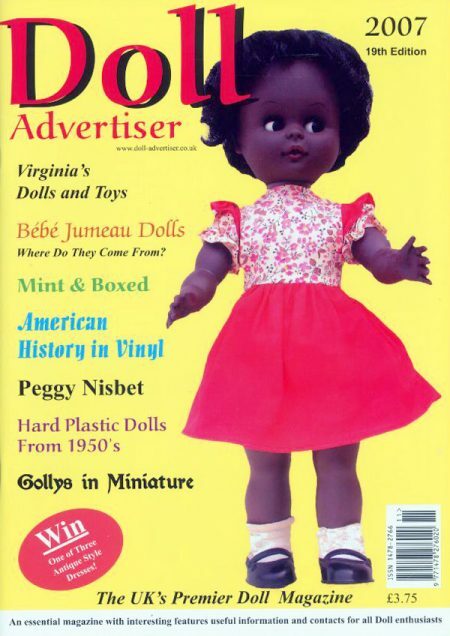 of course there are many other sought after Frech and German dolls that are valuable as well, in fact, I consider any antique doll, in good condition, a valuable asset. 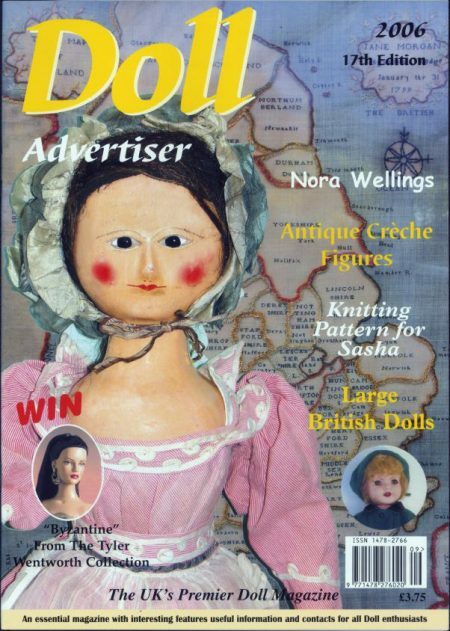 There are only a few doll makers in England today. 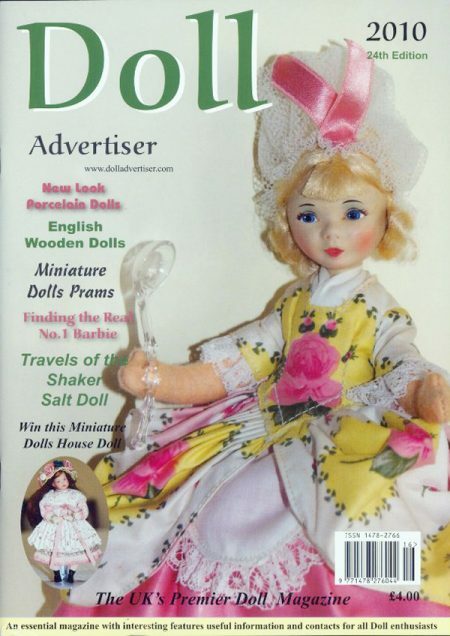 One doll artist, Julie Robinson is still busy making her beautiful reproduction antique dolls and who has a real passion for collecting large antique dolls. A popular collectable at the moment is the re-born dolls – such a talented doll artists which make those realistic baby dolls – can you tell the difference. Twins Elena and Ekaterina Popova doll artists from Russia have to be mentioned for their outstanding work in portrait dolls. For next year a new Doll Fair will be taking place at the Royal National Hotel in London on Sunday the 27th January 2008. Already a lot of interest has been shown for this exciting new venue. Make sure you don’t miss out!